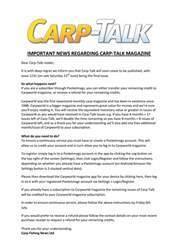 This week’s issue of Carp-Talk (issue 1079) is available to download now. 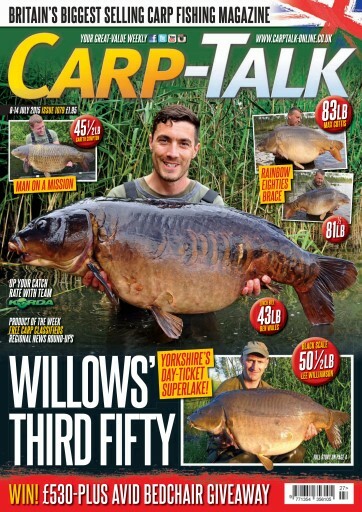 Don’t miss the story of Ben Wales’ capture of Christchurch Lake’s fantastic Baby Pooley’s at 43lb. 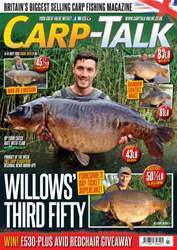 Also in the news is the story of Willows’ third fifty, caught by Lee Williamson, and fifties from Welly, Ringstead and Monks Pit. 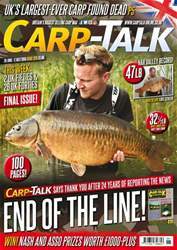 Products from Nashbait, Wright Tackle, Kryston and Stillwater go under the spotlight in ‘Trade Talk’. 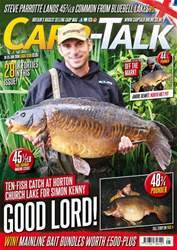 Simon Scott champions the use of his favourite hookbait, the tiger nut, and Haydn Hoskins bags an unnamed cracker. Leon Bartropp talks confidence, and Louis Slade finds success on a big pit. The Mainline Carp Angler of the Year competition continues, and there’s £530-plus worth of Avid Carp beds to give away.